Long expected to be brought back by the Oilers, the need for Russell was furthered when Andrej Sekera was ruled out for the first part of the season. Russell will be asked to again carry some of that load, likely manning the left side along with Oscar Klefbom and Darnell Nurse. The deal will take Russell to age-34, something that should give pause to even his most staunch defenders. Russell of course has been the focus of many battles between “old” and “new school” player evaluation. While he continues to devour minutes and block shots, those more analytically inclined point to his devastatingly-poor possession numbers as a reason to not trust him. That said, the coaching staff and front office in Edmonton clearly appreciated his game, giving him over 21 minutes a night and a brand new long-term contract. Even if Russell falls somewhere in the middle of the two sides, handing out four-year contracts to 30-year old defensemen is a risky move. If his play falls off even a little bit, $4MM can be a tough pill to swallow for a bottom pair defensemen, especially with the expected astronomical contracts being handed out to Leon Draisaitl and Connor McDavid. Remember that the team also owes new deals to Nurse, Matt Benning and now Ryan Strome next summer, with Cam Talbot not far behind. For an example of what could happen, look no further than the Oilers division rival Anaheim. They recently had to part with young defensive prospect Shea Theodore in part to protect their other defensemen from expansion but also to rid themselves of Clayton Stoner’s contract. Stoner was signed to a four-year $13MM deal at the age of 29, and was a huge burden on the Ducks cap just a few years later. While it’s not certain Russell would decline as rapidly, there is at least that possibility. 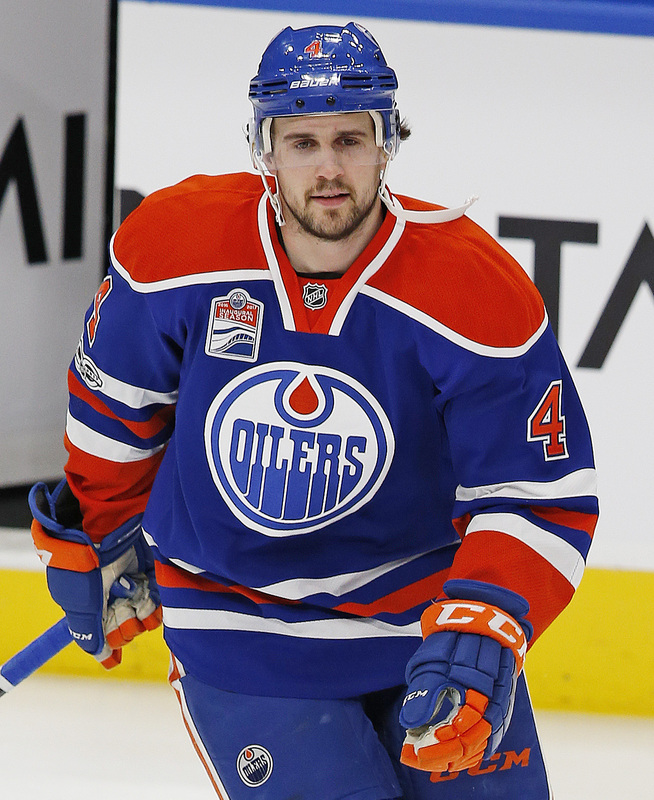 The Oilers though will bring him back and hope that his shot-blocking skills and general defensive acumen helps them return to the playoffs once again in 2017-18. He logged over 22 minutes a night in the postseason, and will be relied upon once again to provide leadership and consistency to a fairly young defense group. Ryan Rishaug and Pierre LeBrun of TSN first reported the deal, while Renaud Lavoie of TVA Sports also heard it would be announced.